Construction skills of all types are much needed on the mission field and open the door to sharing the Gospel with those you serve. The missionary and mission team had met this man at his point of need, opening up the opportunity to share Christ with him. The man’s life was changed that day for all eternity because of a mission team that used their construction skills, but also took time to share the Gospel. This is just one of many stories of how construction teams have used their skills on mission. Others include churches that were rebuilt after being destroyed by fire and a lady who financed the rebuilding a widow’s house that was beyond repair. There are many elderly, single moms, needy families, churches and ministry centers that are in desperate need of teams with construction skills. Teams are needed throughout the year for everything from minor repairs to major construction or rebuild jobs. Consider putting together a construction team from your own church or association that can meet the building or repair needs of your local community, as well as state-wide, nationally, and internationally. Look for construction opportunities on the Kentucky Baptist Convention website at http://kybaptist.org/mission-opportunities/construction-maintenance/. Or, consider joining a Baptist Builder Team, a Carpenters for Christ Team, or a Campers on Mission Team and use your construction skills on mission for Christ. Jesus’s command to makes disciples of all nations is for all believers (Matt 28:19). While we want every Christian to be a disciple-maker, not everyone in the local church will necessarily leave their home for gospel mission (Acts 13:1-3). Some go; the rest send. Some go long-term; others can go short-term. Short-term mission teams can be a valuable asset to assist those making disciples in far places. Enlisting proper short-term team members is an essential part of ensuring we have an effective and faithful long-term mission impact. 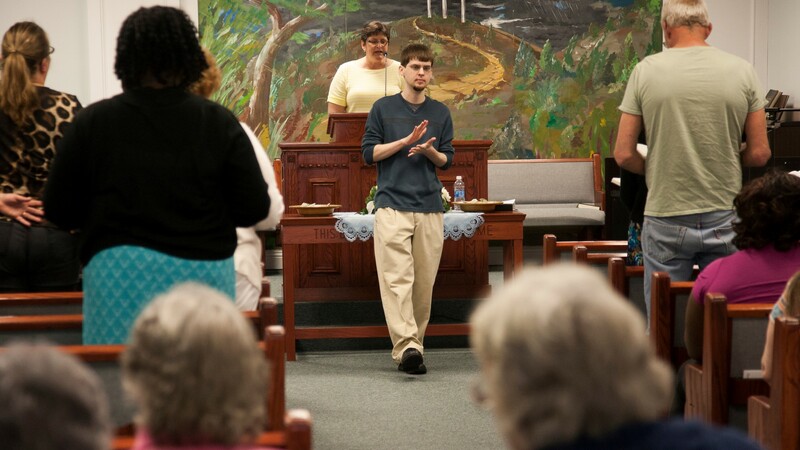 Here are some suggestions for enlisting your short-term mission team. Communicate clearly to the church the mission. Pastors play a key role in communicating and giving “stage time” to the mission that the church will engage in. Use as many (creative) communication platforms as necessary to inform the church of the upcoming mission opportunity. Work closely with the pastor(s) in the process of recruiting or approving team members. As the shepherds of the church, pastors need to be involved in the decision process of those who participate in the mission effort. Description of personal growth (e.g., prayer, Bible reading, church involvement, personal witnessing). Explanation of why the individual desires to go on this mission effort. Look for team players. There are no lone rangers in missions. Gain a feel for the personality of the person and ability to relate well with others. Willingness to be flexible and serve as needed. Inform each interested person of the decision. In many cases, the answer for an interested mission team member will be “yes, welcome to the team.” On occasion, the team leader, pastors and other decision makers will have to inform interested persons that the answer is “wait”. Short-term teams provide valuable help to long-term missionaries when those teams are carefully selected and properly trained. While not every Christian will be called to live far from “home,” every Christian is called to make disciples of all nations. One way to faithfully live out this disciple-making call is by being part of carefully selected short-term mission teams. Matthew 9:36 challenges us to reach compassionately the harassed and helpless. No demographic is more helpless than children. Here in Kentucky, 26% of our children live in poverty, that’s one out of every four children. For the 985,000 children in Kentucky who live in poverty, Christmas doesn’t always come with the promise of gifts—or even a Christmas meal. Every day is more about survival than celebration. But we can help change that. One very practical way that we can reach compassionately the needy children in our state is through Christmas backpacks. Last year, almost 8,000 Christmas backpacks were collected in Kentucky for distribution by missionaries and church planters. 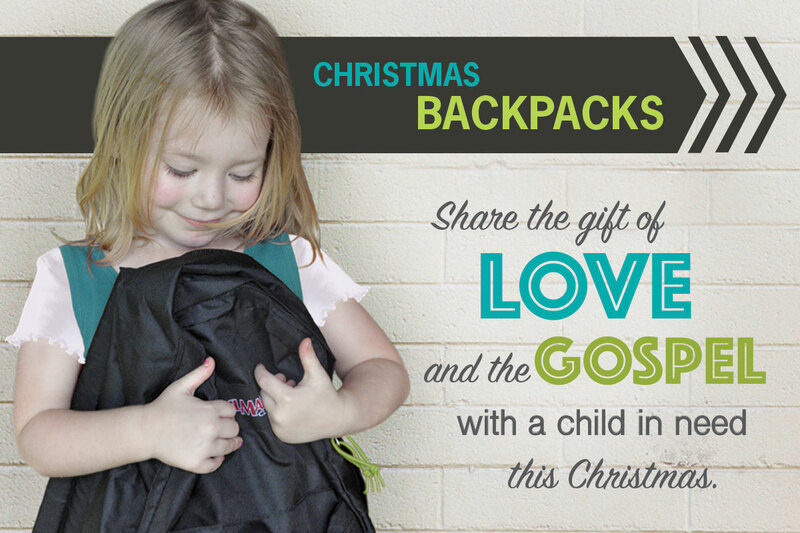 Each backpack is a tangible expression of God’s love as it is filled with gifts of clothing, toys and food items. But the greatest gift within each backpack is a copy of the true Christmas story. Many children have never heard the “true” Biblical Christmas story. Last year, there were hundreds of decisions for Christ as a result of the gospel message that is shared with each backpack. An exciting thing about those decisions is that many of them were made by parents and grandparents of the children receiving the backpacks. The backpacks don’t just provide hope to a needy child, they impact the whole family. Let me challenge you and your church or small group to commit to preparing and packing backpacks for children to receive this Christmas. Time is running out because backpacks must be ready for delivery by early October. It all starts with you – but ends in someone coming to know Jesus Christ and the true Christmas story.